These are this Poll Board Members List of titles that are watchable over and over. Are there any on this list you have watched at least 3 times? Then what is your top pick? I immediately thought of Back to the Future, the most rewatchable of all. I think there should be an entertaining value to the film so I would watch it over and over... Alien is a masterpiece but I'm not sure it's that re-watchable except if you watch it with someone who never saw it. I wouldn't call 2001 rewatchable, I wouldn't re-watch it without skipping the monkey's part. Age has an effect on patterns of re-watching. Children are more inclined than adults to watch the same set of movies everyday for months, regardless of the amount of spare time available. ElMo...Some lines off the top of my head. Do you know what this means? It means this damn thing doesn't work! Justice of The Future is swift since once they abolished all lawyers! Finally, Your killin me here! 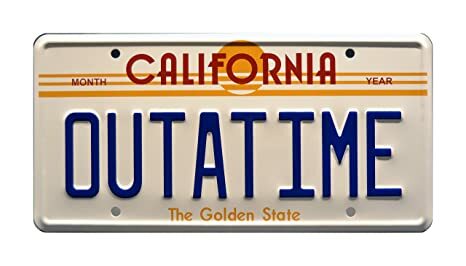 I turned 30 when BTTF Premiered! You weren't even 20! You're right. I was your age in reverse in 85 :) I discovered the trilogy a few years after... and it became an instant favorite. Yes, I was a geek. I've seen several of these multiple times, and in some cases, dozens perhaps. If it ever goes live it will be interesting to see the numbers. If. A big If. Just looked at someones Page and that person has not laid eyes on but one or two of my new polls for two months. And I've made 20 at least. Would make more, but for right now it is an exercise in futility. I feel bad for all the input that is not being put to good use by all the other poll board contributors. I'll be patient. It can't last forever. Actually none on this list is lower than 10 except Alien. That I have watched 4-6 times maybe. "...that are watchable over and over" is generally understood as a good choice to watch it again. I think many people, if only they are not pointed on nostalgy, would feel disappointment todays to rewatch the nearly each third of this poll. I understand and share the main idea, but would it not be enough to keep mention "Are there any on this list you have watched at least 3 times? Then what is your top pick?" Exactly the same way "2, 3, 1, 5, and forget about 4" in favoring them. But life has its own rules: I have practiced the part 1 more often than sequels. I was disappointed when The Sarah Connor Chronicles was canceled. Thankfully the cancellation was not mid-season. As for T6, I'm looking forward to James Cameron being at the helm again, and seeing Linda Hamilton, as a senior citizen (or nearly such), reprising her role. And for better or worse, I've watched not so many TV-series, the Chronicles is not among them, and not in my watchlist yet. If you do watch it which I recommend, there is a problem. It came to no conclusion. The last season ended on a cliffhanger. It was supposed to have another but was cancelled abruptly not allowing for a shortened season wrap up the next year. My vote: Back to the Future (1985). That would be in if I had Room. Will probably do a Part 2 Today later. Thinking of a part two if I get some more Suggestions. It would be a poll board members part 2. HI, Ed Jones (XLIX). Please replace "Sy-Fy" with "Sci-Fi".